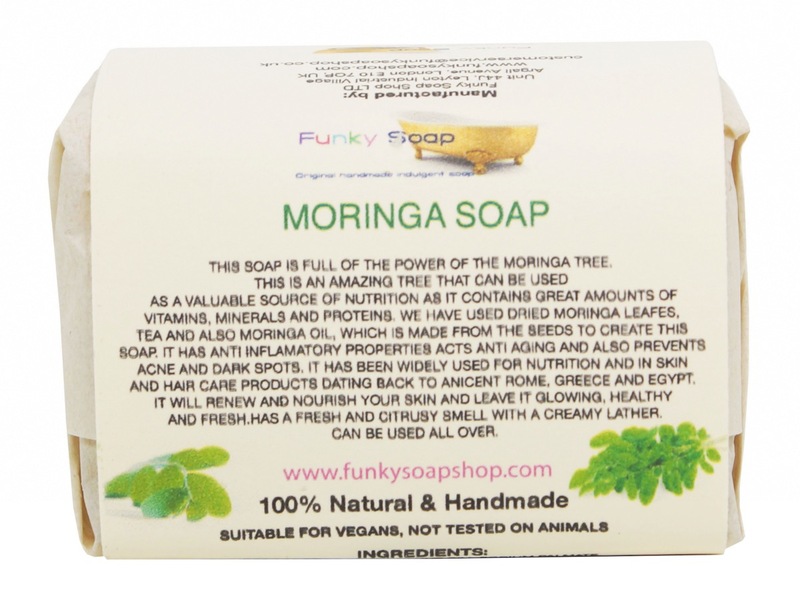 THIS SOAP IS FULL OF THE POWER OF THE MORINGA TREE. THIS IS AN AMAZING TREE THAT CAN BE USED AS A VALUABLE SOURCE OF NUTRITION AS IT CONTAINS GREAT AMOUNTS OF VITAMINS, MINERALS AND PROTEINS. 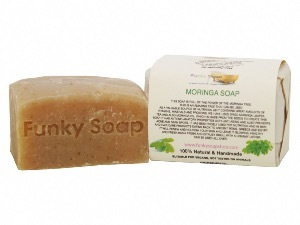 DURING THE MAKING OF THIS SOAP DRIED MORINGA LEAVES, TEA AND MORINGA OILS WERE USED. 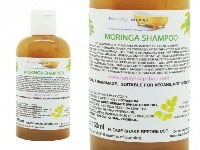 MORINGA OIL HAS ANTI-INFLAMMATORY PROPERTIES HELPING CLEAR PIMPLES AND BLACKHEADS. WHEN USED ON A REGULAR BASIS IT WILL HELP PREVENT REOCCURRENCE OF BLEMISHES AS WELL AS MINIMISING DARK SPOTS FROM ACNE AND HYPERPIGMENTATIONS. IT WILL RENEW AND NOURISH YOUR SKIN AND LEAVE IT GLOWING, HEALTHY AND FRESH. 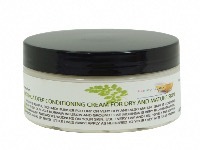 RUB BETWEEN YOUR HANDS FOR A CREAMY LATHER, IT HAS A FRESH AND CITRUSY SMELL.CAN BE USED ALL OVER. 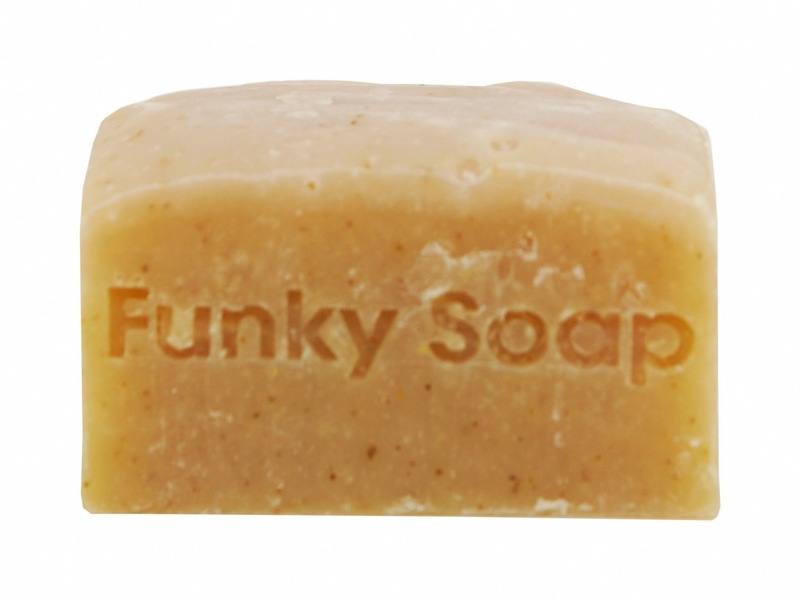 THESE SOAPS ARE 100% NATURAL AND HANDMADE IN SMALL BATCHES. 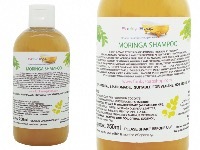 SHAPE, COLOUR, SCENT, SIZE AND APPEARANCE CAN VARY SLIGHTLY BETWEEN BATCHES AND IT IS IN THE NATURE OF THIS PRODUCT. AS THEY ARE ALL NATURAL SCENTS THEY MIGHT NOT BE AS STRONG OR DEVELOP WHEN IN USE. PLEASE KEEP YOUR SOAP DRY WHEN YOU ARE NOT USING IT. THIS WAY IT WILL LAST FOR A LONG TIME.